In our Instagram feed, we sometimes share RTW (ready-to-wear) looks that we come across that would be easy to recreate with a Blank Slate Pattern. 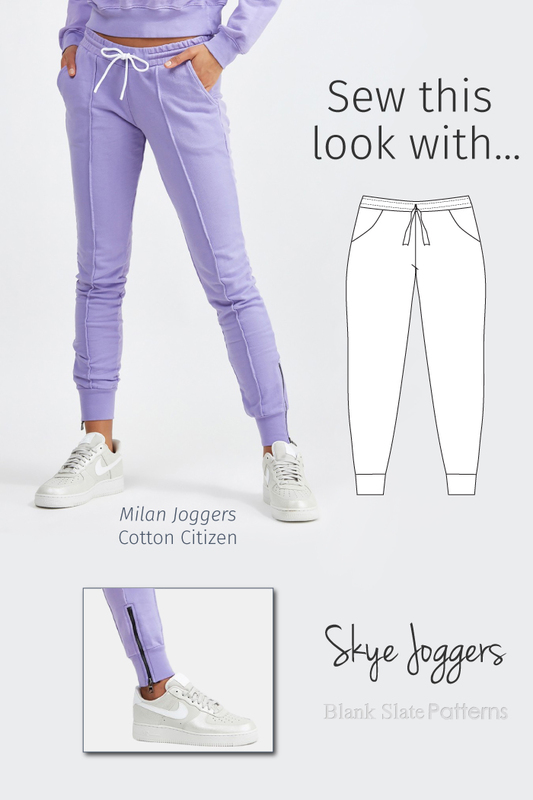 Here is one way to interpret the Skye Joggers pattern. Repeat the above steps on the Skye back pattern piece, if desired. 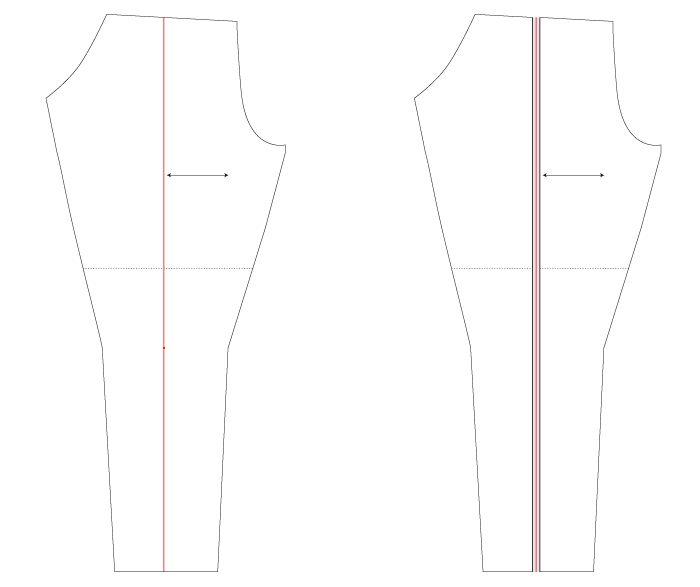 When you cut out your fabric, mark the vertical line from step 2 on the right side of each of your fabric pieces. Before you construct your joggers, create the pintucks on each piece by folding along the line (wrong sides together) and stitching all along the fold at 1/4″ (6mm). Construct as normal. After construction is complete, you can follow this tutorial if you’d like to add exposed zippers at the ankles.